The PASC18 Organizing Team wishes you a happy holiday season and looks forward to welcoming you to Basel from July 2–4, 2018. In this bulletin, we announce the “interdisciplinary dialogue” plenary session at PASC18, our partnership with ISC High Performance and the proximity of our events in 2018, and remind you of upcoming submissions deadlines. The interdisciplinary dialogue is a novel plenary session that we introduce this year for the first time in the PASC Conference Series program. The aim is to provide a relaxed and engaging forum where the audience, representing various scientific disciplines, can gain insight into the research of a specific domain. To this end, the session takes the form of an “interview” between two prominent computational scientists from two different disciplines. The strong interaction is one of the four forces describing complex phenomena in the evolution of the universe from the quark gluon plasma formed just after the Big Bang at the birth of the cosmos to the formation of neutron stars. The bulk of visible matter in the universe is due to the strong interaction and understanding its properties requires the solution of quantum chromodynamics (QCD), a relativistic quantum gauge theory exhibiting confinement and asymptotic freedom properties that distinguish it from the other known theories. Solving QCD is carried out through large scale simulations using the largest supercomputers such as Piz Daint at the Swiss National Supercomputing Centre and Titan at Oak Ridge National Laboratory. Recent progress in algorithms and access to larger computers have led to deeper understanding of the strong interactions, such as resolving the thirty-year-old puzzle of the spin of the proton and providing input for probing dark matter in the universe. Constantia Alexandrou is Professor of Physics at the University of Cyprus and Institute Professor at the Cyprus Institute. She holds a BA degree in Physics from Oxford University and a PhD in Theoretical Nuclear Physics from the Massachusetts Institute of Technology. She held research positions in Germany and Switzerland before joining the University of Cyprus. Her field of research is the study of the strong interactions using large-scale simulations of quantum chromodynamics. She is the Director of the Computation-based Science and Technology Research Center of the Cyprus Institute and coordinator of two Marie Skłodowska-Curie European Joint Doctoral programs in Computational Science. Call for submissions reminder: deadlines are rapidly approaching! We would like to remind you that the deadlines for minisymposia and papers submissions are rapidly approaching. We look forward to receiving your contributions through the conference online submissions portal, and would be grateful if you could forward this information to colleagues and collaborators. From June 24 – 28, 2018, ISC High Performance will embrace a range of subject matter that is critical to the development of high performance computing. The conference will also present you with the latest industry trends, networking and partnership opportunities. Join over 3,500 attendees and 150 exhibitors in Frankfurt, Germany. Visit the ISC conference website. The following week, we welcome you to Basel, Switzerland, for PASC18. Frequent, direct train services link Frankfurt to Basel in less than 3 hours. Don’t miss the opportunity to combine the two events. ISC High Performance and PASC look forward to welcoming you to Germany and Switzerland for thought-provoking technical sessions and additional networking opportunities. PASC18 is the fifth edition of the PASC Conference series, an international platform for the exchange of competences in scientific computing and computational science, with a strong focus on methods, tools, algorithms, application challenges, and novel techniques and usage of high performance computing. 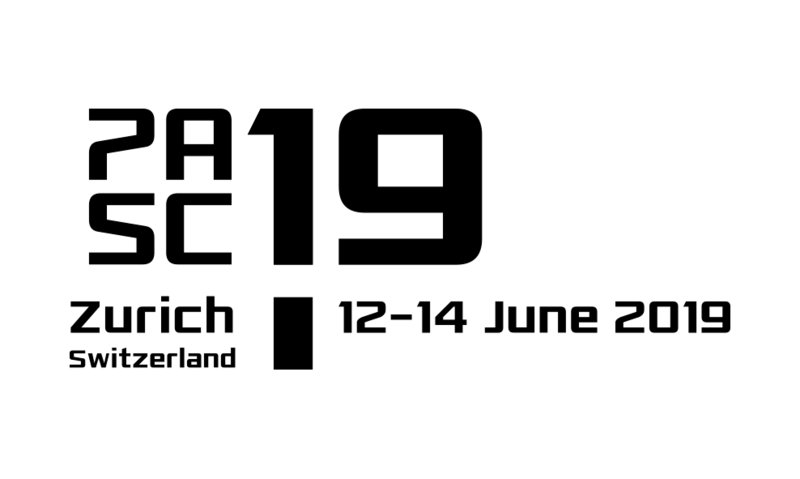 PASC18, co-sponsored by the Association for Computing Machinery (ACM), will be held at the Congress Center Basel in Basel, Switzerland, from July 2 to 4, 2018. Submissions that are interdisciplinary in nature are strongly encouraged.